"When I attended the workshop, I was still working as a graphic designer and FULL TIME PHOTOGRAPHY FELT LIKE A PIPE DREAM. NOW, ONE YEAR LATER, I'M A FULL TIME WEDDING PHOTOGRAPHER who is having to increase prices every few months so I don’t overbook myself. Don’t hesitate for a second, THIS WORKSHOP WILL BE THE BEST INVESTMENT YOU'LL EVER MAKE NOT ONLY FOR YOUR BUSINESS, BUT YOUR LIFE. I’m so proud to tell everyone I attended Caroline's workshop!" "The Caroline Logan Workshop was not only a game changer for my business, but also a life changer. JUST FIVE MONTHS AFTER ATTENDING THE WORKSHOP, I AM FULLY BOOKED FOR THE 2018 WEDDING SEASON, WITH INQUIRIES FOR 2019 BEGINNING TO ROLL IN! This is something I never thought would happen for me. If there’s ever anything you could do for yourself, it would be to attend The Caroline Logan Workshop. It’s probably one of the greatest gifts I’ve ever given myself." "Before the workshop, I had only two weddings booked for 2018! Now, I am well on my way to reaching my 2018 goal of booking 20 weddings with 20 out-of-this-world couples! THERE IS NO QUESTION IN MY MIND THAT THIS IS THE RESULT OF THE CAROLINE LOGAN WORKSHOP! 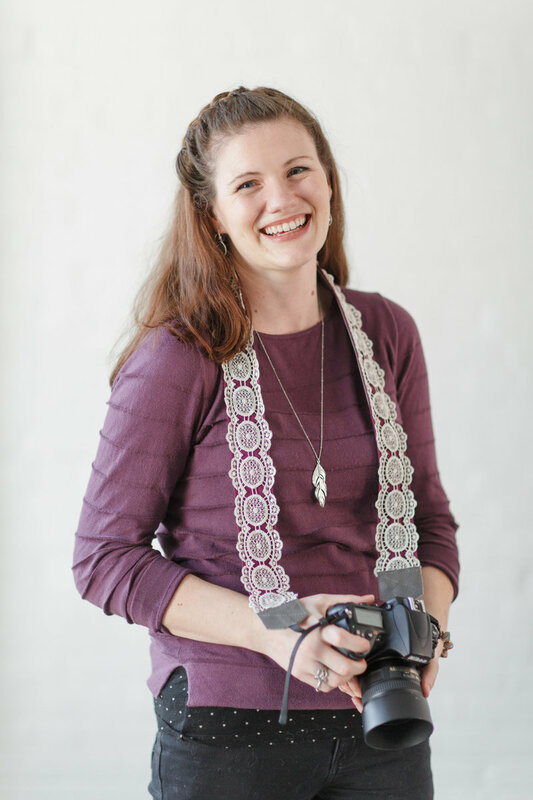 I left the workshop feeling empowered, equipped and more excited than I had ever been about my photography business!" "Leading up to Fall 2016, my photography business had very much been a part time job. I was booking about 5-7 weddings a year. Since attending the workshop, my bookings have increased drastically. I am average 15-20 weddings a year and I am so happy with that growth! My editing and confidence in my style greatly improved and people have noticed." In a bedroom painted that infamous teenage girl shade of Pepto Bismol pink, I prepared for a day that would change the course of my life. The summer after middle school. Mere weeks after getting my braces off. While most teenage girls likely spent the weekend at a slumber party, mine was spent photographing my first solo wedding. At age fourteen. I can recall the fear and insecurity hidden behind a 100 watt smile that said otherwise as I went about that day reeling from the rush of nerves, excitement, and pressure. I was a novice posing professional, a beginner thrown into the game, but more than anything... a fourteen year old girl that was given the responsibility of a lifetime. I remember every detail of that day as if it were yesterday and yet, the reality is, it’s been over seven years since then. And here I am. But you and I both known there’s always more to the story. I’ve spent the last seven years investing in the dreams of that fourteen year old girl who built a business somewhere between algebra tests and homework assignments. From late nights as a nocturnal entrepreneur to bleary-eyed mornings in Chemistry class, I built a business I am proud of. A business that I've found vision, passion, and purpose in beyond simply clicking a shutter. - Proving to prospective clients they could trust a teenager to photograph their wedding. - Balancing school work and photo work. - Walking into a client meeting with little to show other than passion. - Pushing past the status quo to prove age is nothing but a number. - Commanding wedding day control despite lack of experience. I REMEMBER EVERY DETAIL OF THAT DAY AS IF IT WERE YESTERDAY AND YET, THE REALITY IS, IT’S BEEN SIX YEARS SINCE THEN. AND HERE I AM. BUT YOU AND I BOTH KNOWN THERE’S ALWAYS MORE TO THE STORY. I’VE SPENT THE LAST SIX YEARS INVESTING IN THE DREAMS OF THAT FOURTEEN YEAR OLD GIRL WHO BUILT A BUSINESS SOMEWHERE BETWEEN ALGEBRA TESTS AND HOMEWORK ASSIGNMENTS. FROM LATE NIGHTS AS A NOCTURNAL ENTREPRENEUR TO BLEARY-EYED MORNINGS IN CHEMISTRY CLASS, I BUILT A BUSINESS I AM PROUD OF. A BUSINESS THAT I'VE FOUND VISION, PASSION, AND PURPOSE IN BEYOND SIMPLY CLICKING A SHUTTER. These are just some of the challenges I faced. Yours might look different, but if there’s anything I’ve learned it’s this: there will always be road blocks. You will always face some level of opposition. But is it really so big to stand between you and your dream? 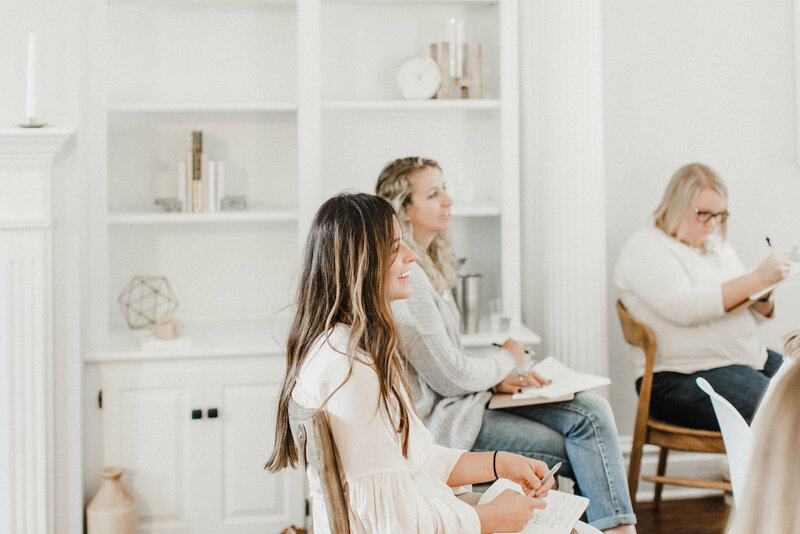 My vision for this workshop is that in sharing my journey... every bump in the road, triumph, lesson learned, and spurt of growth... it would equip you and fast-forward your own growth. I'm passionate about teaching because I want to see other photographers succeed and find life and deep purpose in the work they’re doing. Because if a fourteen year old girl who didn’t even have her driver’s license can do it... you can too. And I want to help you get there. What's stopping you? These are just some of the challenges I faced. Yours might look different, but if there’s anything I’ve learned it’s this: there will always be road blocks. You will always face some level of opposition. But is it really so big to stand between you and your dream? My mission is that in sharing my journey... each bump in the road, triumph, and lesson learned... it would equip you and fast-forward your business growth. I'm passionate about teaching because I want to see other photographers succeed and find life and deep purpose in the work they’re doing. Because if a fourteen year old girl who didn’t even have her driver’s license can do it... you can too. 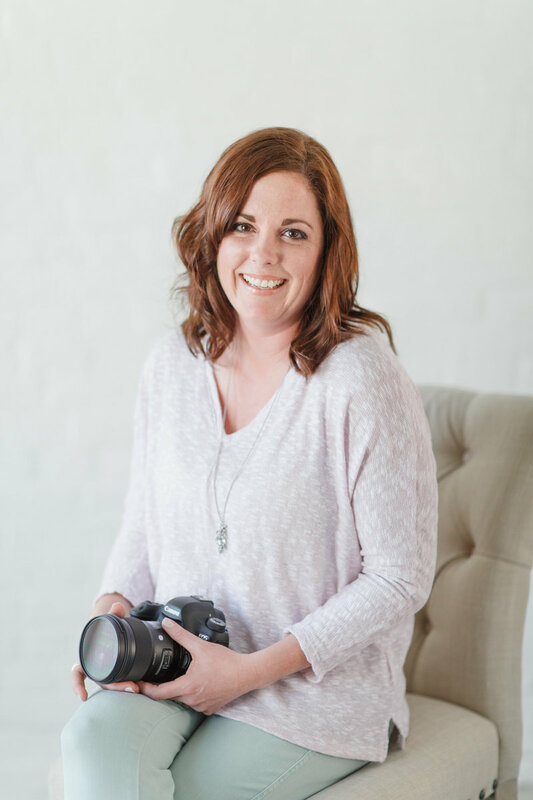 This workshop is best suited for those one to three years into business, however, we have had photographers of all experience levels join us in the past and that's one thing I love about it! So you'd totally be welcome, no matter the place you are in your business growth. 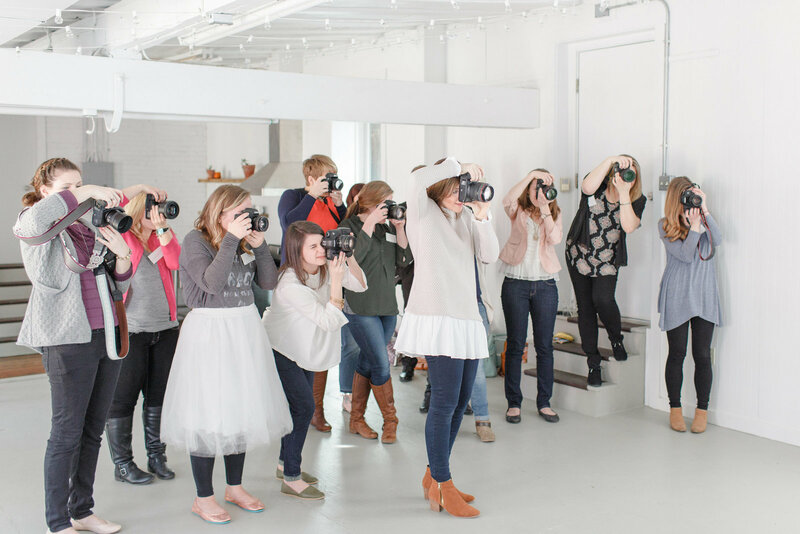 Although applicable to photographers of any specialization, this workshop is best suited for wedding photographers or portrait photographers that hope to transition into wedding photography. Attendees can anticipate an optional Meet & Greet on the evening before day one of the workshop, two content-packed days of teaching, a fresh head shot, participation in a styled shoot, lunch and dinner both days, a swag bag from our sponsors, newfound friendships, and more! TO A SIX-FIGURE ANNUAL INCOME BY AGE 20! • SOCIAL MEDIA MARKETING BUILT ON YOU! • THE STEPS TO GOING FULL TIME! 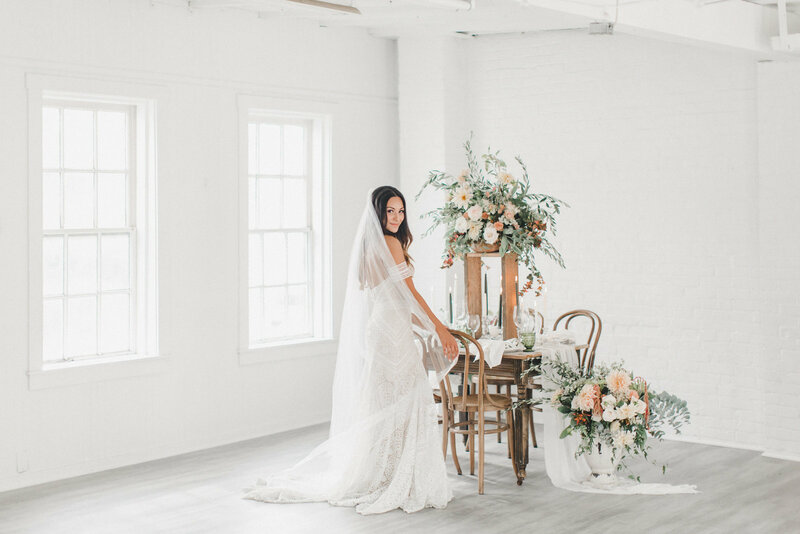 Each seat includes two content packed days of teaching, an optional meet & greet the evening before the workshop, a fresh head shot, participation in a styled shoot, lunch & dinner both days, a sponsor swag bag, & more! Use the code: “EARLYBIRD” at checkout to receive over $250 off a full price seat through January 31st. Limited to 14 seats. My home, right in the heart of Downtown Lancaster, Pennsylvania. Harrisburg (MDT) is 40 minutes from Downtown Lancaster and Philadelphia (PHL) and Baltimore (BWI) are both 90 minutes from Downtown Lancaster. For lodging, Lancaster Marriott at Penn Square or Lancaster Arts Hotel are both within walking distance. I struggled with fine tuning my style and lacked confidence in some other areas of business. After the workshop, I really worked hard to implement everything that Caroline had taught and things just seemed to get better & easier for me from there on. I struggled to reach my goal number of wedding bookings for the 2017 season and as of last week, I've already surpassed my goal number for 2018 and it's only October! Three months after Caroline's workshop, I decided to go full-time with my wedding photography business and I never imagined I'd be able to do that so soon. Not only have I seen growth in my number of bookings, but I have been able to define a style that I have been trying to achieve for so long and that I am proud of. I'll never regret investing in this workshop. Caroline covered everything I could have wanted to learn from the experience. She welcomed each of us into her beautiful home with a big hug and smile and she truly has a heart for sharing knowledge with and encouraging other photographers. When I left Lancaster, I felt so confident that I could do anything I set my mind to. I also left with a handful of new friends that I've kept in touch with since May and that's something I'll forever be grateful for." Before attending the workshop, my business was doing okay, but I knew things could be better. 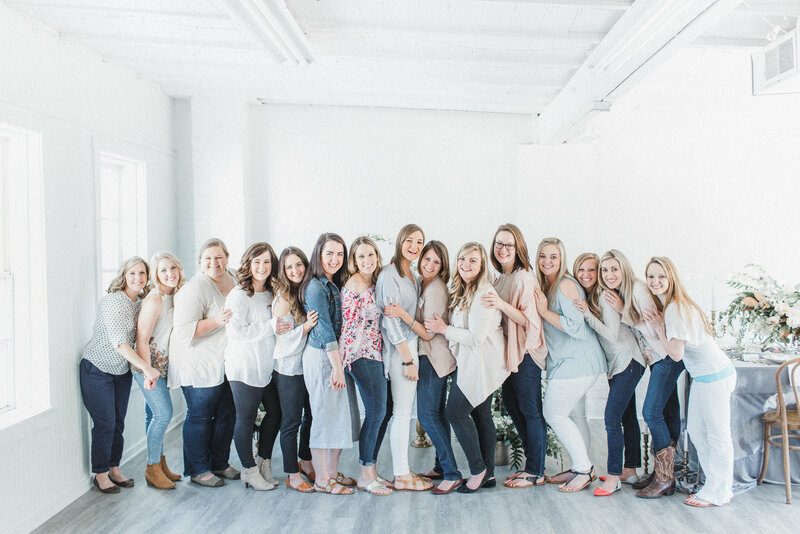 From start to finish, Caroline filled the workshop with such incredible content! Posing techniques, editing, business strategies, etc. were all talked about – there wasn’t a topic left out! Her passion for loving others through her business was such an incredible take away for me! What I learned is invaluable, and I’m truly so grateful! I left the workshop feeling empowered, equipped and more excited than I had ever been about my photography business! I'm not doing this by myself - instead, I'm surrounded by a group of amazing creatives, who I now call friends, from around the world, who are cheering for me always! How awesome is that?!?! I'm beyond grateful for Caroline's workshop!" There is not a question in my mind that this is the result of The Caroline Logan Workshop! "Before the workshop, I had only two weddings booked for 2018! Now, I am well on my way to reaching my 2018 goal of booking 20 weddings with 20 out-of-this-world couples! 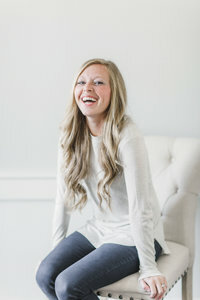 Having the chance to practice shooting techniques Caroline taught at the styled shoot was the icing on the cake! You cannot put a price tag on a hands on experience like that! Immediately after the workshop as I applied everything I learned, I quickly watched my photography go to the next level. Caroline offers so many applicable tools that she learned for herself that you can apply to your own business. 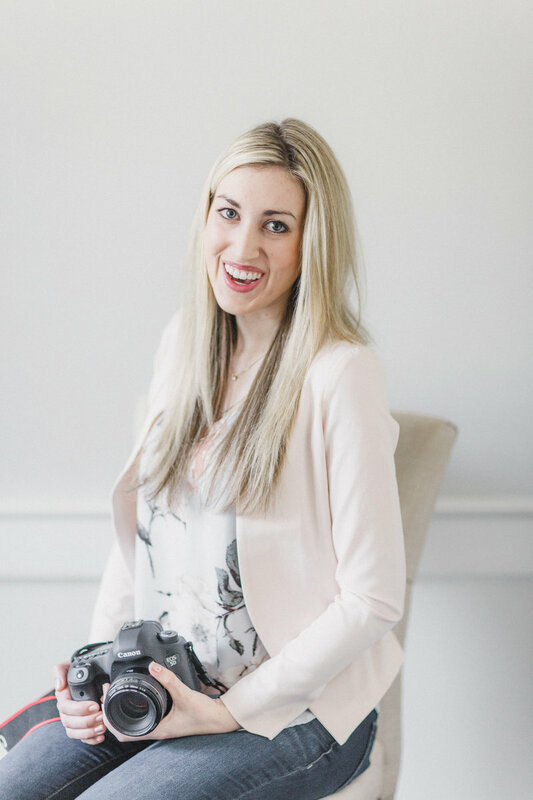 I was able to improve areas of my business including the way I edit and streamline my editing process, to the experience I create for my clients, plus so much more! My editing and confidence in my style greatly improved and people have noticed. "Since attending the workshop, my bookings have increased drastically. I am averaging 15-20 weddings a year. I'm so happy with that growth! 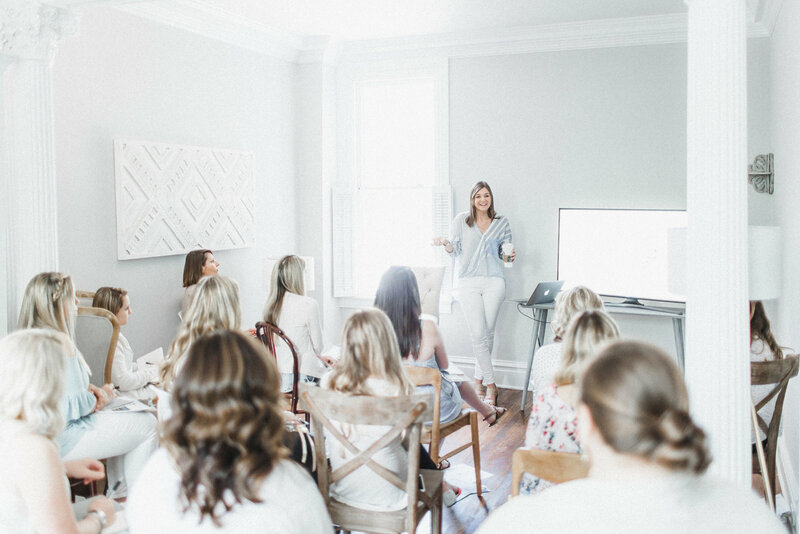 There was something about Caroline and her workshop that made it an easy decision to invest in, and I’m so glad that I did. 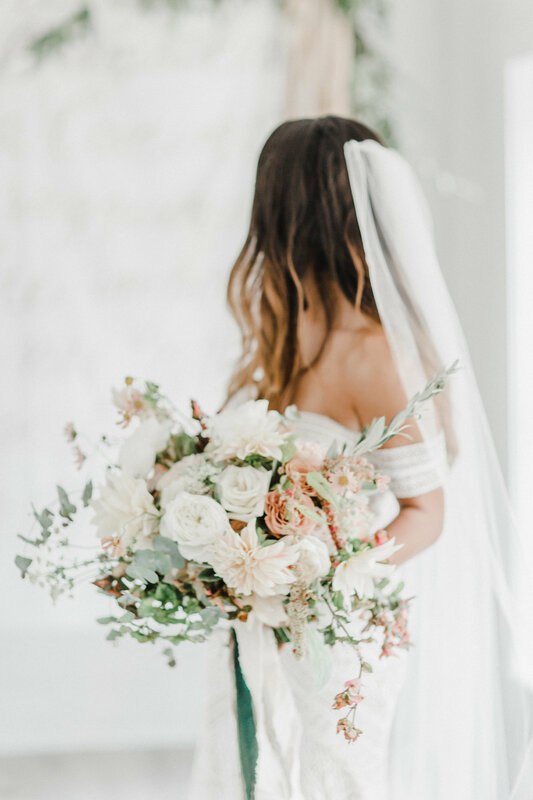 I left Lancaster with an overflowing heart, new friends, beautiful images on my camera from a styled shoot that looked like it was straight out of a magazine, as well as a notebook filled with quotes, book recommendations and a very long to-do list. The best thing I left with? 'Start where you are,' Caroline told us in our first discussion. I am where I am today, in great part, due to Caroline’s workshop and support. My time and money are invaluable – and Caroline’s workshop was worth every minute and every penny." I am a busy mom and photographer, so my time and money is of extreme value. Caroline’s teachings will forever remain in my heart, and in my treasured workbook in my office, that I continually look through and reflect on. The confidence and viewpoint shift that I gained after attending Caroline’s workshop is second to none. That in itself, is priceless. Five months after attending the workshop, I am fully booked for the 2018 wedding season, with inquiries for 2019 beginning to role in! This is something I never thought would happen for me. 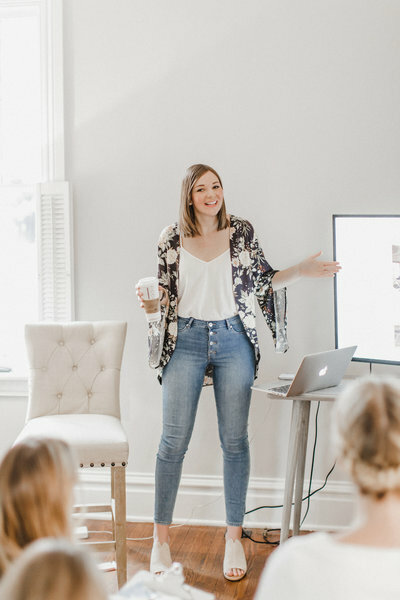 I am so thankful, grateful, and blessed to have been able to attend Caroline’s workshop, and I would highly recommend anyone looking to take a leap or even just for growth in their business to attend. Caroline is wise beyond her years, and so beautiful, kind, and smart. 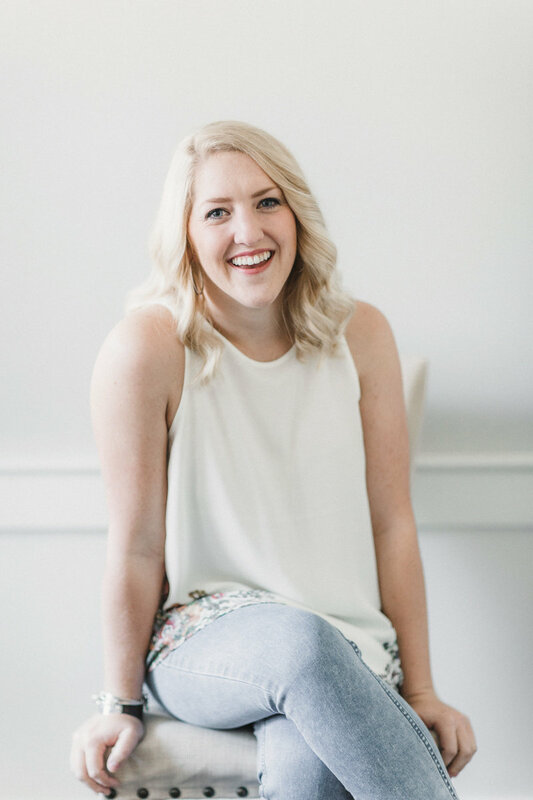 I wish I could spend everyday with Caroline because she is so knowledgeable and her love and passion for serving others through photography pours out of her. I could go on and on, but if there’s ever anything you could do for yourself, it would be to attend The Caroline Logan Workshop. It’s probably one of the greatest gifts I’ve ever given myself." The Caroline Logan Workshop was not only a game changer for my business, but also a life changer. "Oh where do I begin, or how could I possibly convey all my emotions, thoughts and gratitude in a paragraph? 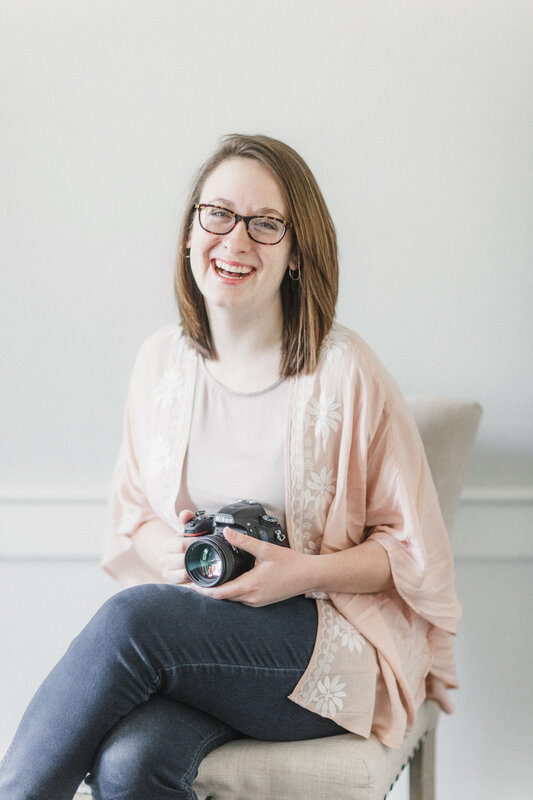 The information Caroline shares is SO incredibly valuable not only as a photographer and business owner, but as a human being. Her message of treating everyone with grace, no matter the circumstance, has stuck in my head like glue. 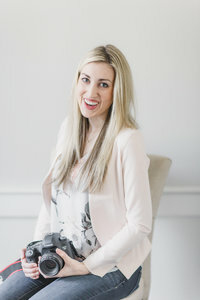 Communication with my clients has gotten so much better and my brides now want to work with me specifically, not just because I have a camera and I’m available. When I left the workshop that night, a fire was lit in me and I spent the next few months improving my editing, posing, communication, and branding... and brides absolutely took notice! Don’t hesitate for a second, this workshop will be the best decision you’ll ever make not only for your business, but your life! Caroline is the sweetest and most talented woman I know and the most humble and gracious! You’ll truly be welcomed with open arms and treated like family the instant you walk through her door. I’m so proud to tell everyone I attended Caroline's workshop!" Now, one year later, I’m a full-time wedding photographer who is having to increase prices every few months so I don’t overbook myself. I’m already over halfway to my booking goal for 2018 and it’s not even engagement season yet! "When I attended the workshop, I was still working as a graphic designer and full-time photography felt like a pipe dream. It was such a detailed-filled, inspiring day. I left the workshop with an exciting vision for myself and my career, a renewed confidence, and many meaningful connections. I immediately put the skills & tips I learned into action, literally the next day. I've since rebranded, booked an additional nine weddings this year, and connected with industry professionals in ways I never thought I could. I'm grateful to be getting closer to my ideal market and I know it is in part from what I learned at the workshop. Caroline radiates such an obvious love + passion for her mentees and clients, providing an experience I won't soon forget." exactly what I needed to steer my photography business in the right direction. Caroline not only showed us how to feel confident in ourselves, but to be professional, how to create a successful brand, tips for posing & styling, and so much more! Since the workshop, I've gone from editing a wedding in 2+ months to under one week has made a HUGE difference in my business and in my life. I can't thank Caroline enough for pushing me to make that switch. I believe wholeheartedly in community over competition, and it’s obvious Caroline does, too. She wants us to grow and succeed. Thank you from the bottom of my heart, Caroline, for this amazing opportunity to learn from you! I will always remember you + this experience." You will not be disappointed in your decision to invest in your business with her, I promise! 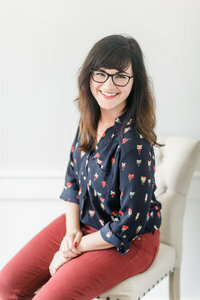 "If you're considering taking a photography workshop, please make Caroline Logan your first choice! The Caroline Logan Workshop was more than an experience. It was a beginning. I gathered in Caroline’s home with other women just like me. We were all in different places in our business. Some ladies had been photographers for years and were booked up completely for weddings, just there to better their skills. And others were in the same boat as me, just getting started. 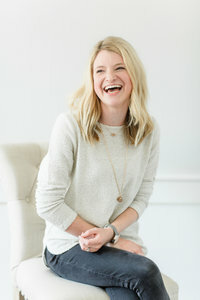 Caroline poured out her heart and her journey to us and shared all her secrets. Not just about business, but about life, family, and serving others. We laughed. We cried. 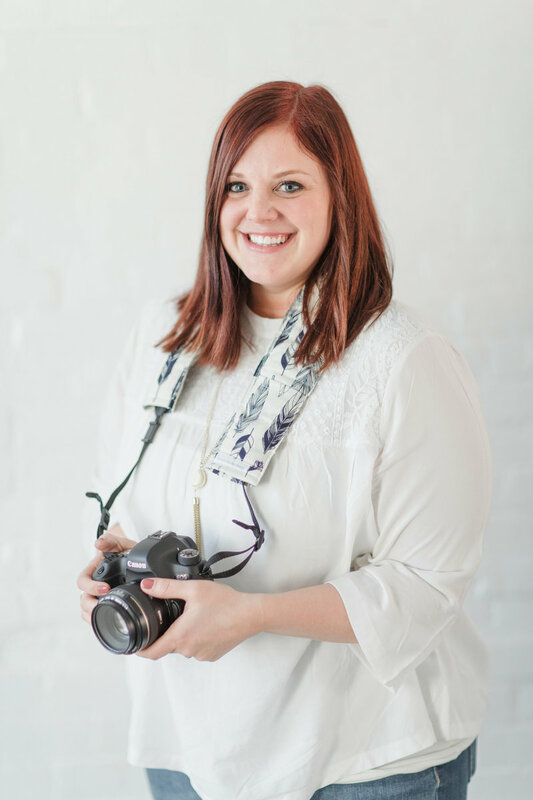 She shared her strengths, weaknesses, and what the very first wedding she shot looked like. She started the same way as me. As I sat in her living room, surrounded by these awesome women, I knew that I had what it took to make my dream come true. I was going to be a photographer. I would go to my full time job day in, and day out. I knew I wanted to be a photographer, but I had no clue how to get started. Sure, I had taken lots of pictures. But something was missing. I was never proud of what I created. "When I first came across Caroline, I didn’t have a business at all. I was a girl, with a dream. claim 1 of the 14 seats!